The holidays are just days away - if you’re scrambling for last minute gifts, we’re about to give you just 10 (of many!) 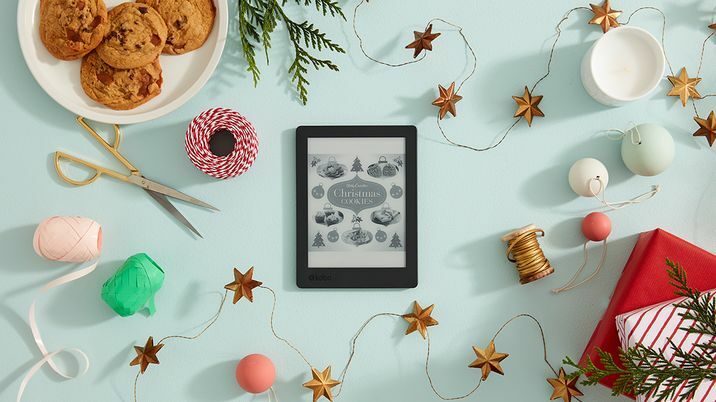 reasons why an eReader is the perfect gift that keeps on giving. Whether you pick the Kobo Aura ONE that’s inspired by ardent booklovers, or the new Kobo Aura H2O for those who enjoy sinking into a good read in the bath or by the pool without worry, you’ll be giving your loved one access to hundreds of books at their fingertips. Here’s a look at just 10 of the most popular reads this year—ranging from dark thrillers to non-fiction titles with cult followings that will have your gift recipient singing praises of how thoughtful you are. Your secret Santa is safe with us! Detective Lottie Parker is called in to lead an investigation, after two bodies are found with the same distinctive tattoo inscribed on their legs. The trail leads Lottie to St Angela’s, a former children’s home, with a dark connection to her own family history. In Jane Harper’s debut novel, The Dry, Federal Agent Aaron Falk arrives in his hometown for the first time in decades, only to find out that small towns have always hidden big secrets. This amazing read and instant New York Times bestseller will keep you on the edge of your seat, with plenty of twists to keep even the avid reader interested. When family and secrets are involved, the outcome is never pretty. That’s the case with Kerry Fisher’s heart-wrenching tale about sisters-in-law Lara and Maggie and the dark secrets involved in their marriages. This emotionally gripping read is prefect for fans of Amanda Prowse, Liane Moriarty and Diane Chamberlain. Aussie author Liane Moriarty uses everyday situations to show the story behind the perfect family. After being produced by Reese Witherspoon’s production company, Pacific Standard, this female empowerment show became a fan favourite. But differences between the show and book, namely the location change from Australia to California, mean this read will keep even serial fans of the show up at night. In this tightly wound, enthralling story reminiscent of Agatha Christie’s works, Lo Blacklock, a journalist who writes for a travel magazine, has just been given the assignment of a lifetime: a week on a luxury cruise with only a handful of cabins. The instant bestseller will leave even the most sure-footed reader restlessly uneasy long after the last page is turned. Margaret Atwood’s multi-award-winning, bestselling novel, The Handmaid’s Tale, experienced a resurgence in 2017 due to the launch of the television series based off the book. The dystopian novel, while originally published in 1985, continues to be relevant in today’s society and serves as a warning of what could be. With morals abound, this stunning novel is a must-read. A sighting of a woman who supposedly died years ago sparks a desperate search for the truth in this breakout suspense thriller, perfect for readers of The Good Girl and The Widow. Described as a chilling read that will keep you guessing, it comes as no surprise that J.S. Monroe has also authored numerous best selling spy thrillers under his pseudonym, Jon Stock. Described as ‘sick’ and ‘chilling’, make sure you have a few spare days before sitting down to read The Girl Before. The sensational international thriller, which has been called Fifty Shades of Grey meets Law & Order, offers a thrilling portrayal of psychological obsession. The story jumps between two women living in the same house at different times, and the architect who designed it. After the release of 2016 biographical film Lion, the book it was based on became the 8th most popular book for Kobo’s Australian readers in 2017. After 5-year-old Saroo becomes lost on a train in India, his life takes many unexpected turns. Growing up in Hobart, Tasmania, he uses Google Earth to find his home and birth family. Ensure you have the tissues nearby for this one! Join the cult that is The Barefoot Investor and learn about secret insider terms, such as ‘Mojo’, ‘Splurge’ and ‘Smile’. Scott Pape’s personal finance bible has taken Australia by storm this year with over 500,000 sales. Aussies are reading it, loving it and then gifting it to their friends and family. Pape’s ability to turn superannuation, savings and mortgages into an entertaining, encouraging and easy read is worth a read.